We just purchased a house that's about 30 years old. On the first floor a water mark developed on the ceiling, so I've been debugging the upstairs plumbing. My kids' bathroom toilet had some moisture around the base, but I have a seven year old son with imperfect aim so it's hard to know where the source is. I took up the toilet intending to replace the wax seal. I was hoping the flange would be either obviously ok or obviously in need of replacement; instead I can't tell. As you can see from the picture, a blue coating is clearly chipped and deteriorating. But that doesn't seem crucial to me, and the part under has no visible signs of deterioration. Am I ok not replacing the flange? EDIT: I should also say that the bolt on the side where the blue is most deteriorated wiggles quite a bit. Is that a sign that the flange is cracked? It's impossible to answer a question like this, even if the plumber is right there. Water can seep through very tiny cracks so there is no way to know without doing very expensive tests, tests that would be more expensive than just replacing the item. Usually a plumber will just replace something if there is any question whatsoever. Not the answer you're looking for? Browse other questions tagged plumbing toilet flange or ask your own question. Does the estimated cost of this plumbing repair seem excessive? Where does the washer go when replacing this toilet seat? 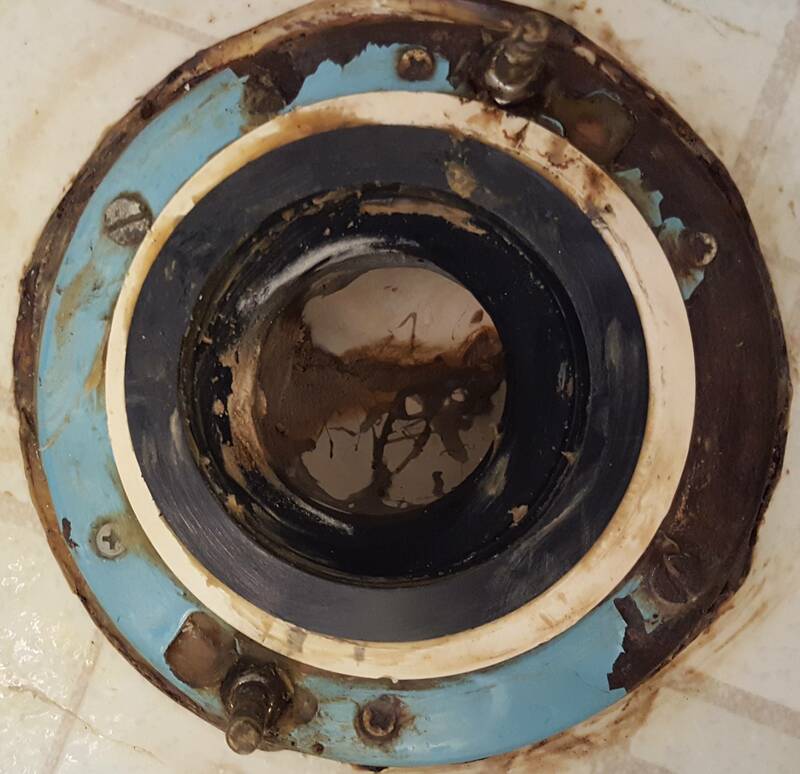 How can I fix this toilet flange? Does the toilet flange need to be bolted? Does the Plywood Around the Toilet Flange Need to be Replaced?